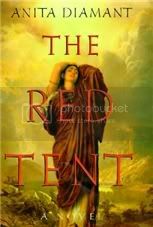 The Red Tent gives Dinah, who is mentioned only briefly in the Old Testament, a chance to tell her own story. Dinah, the only daughter of Jacob, born of his first wife Leah, was abducted by a Canaanite prince, and as a result her brothers took revenge by… well, I’m not going to tell you everything, just in case you, like me, don’t actually know what happens next. I’ll just say that in this version, Dinah is not abducted or raped: she marries the prince voluntarily, and her family’s actions cause her great grief. I very much appreciate the fact that Anita Diamant was able to do this without erasing the reality of sexual violence and abuse from the story: it's still there, in the lives of other characters. Even though Dinah is the narrator, the story begins long before her birth. Based on the stories she was told by her mother and aunts in the Red Tent, she tells us about Jacob’s arrival to the lands of her grandfather and about how he came to marry each of his four wives. And what is the Red Tent, you ask? It’s the place women would retreat to during menstruation or childbirth; a place where men were not allowed. I couldn’t help it: while reading The Red Tent I kept comparing it to Lavinia in my head. Both take women who are mentioned only briefly in their original stories and give them a voice. Both portray societies that were extremely patriarchal and often violent, and yet manage to explore their cracks, their little contradictions, their place of freedom and relief. I think Lavinia does all of this a little better, but then again, there is only one Ursula Le Guin. Anita Diamant doesn’t dance around the fact that this is a world in which women were considered apt only to cook, clean, and make babies—as many babies as possible, preferably. Childbirth is central to this story, with Dinah, and Rachel before her, becoming midwives. There were many, many scenes that made me extremely grateful for modern medicine and for today’s relatively risk-free pregnancies. But modern medicine is not exactly available in every corner of the world, and women are still often seen as walking wombs. It’s always good to remember how often, and for how for long, childbearing cost women their lives. There was one aspect of the story I wish had been explored further: I associate women being isolated while they’re menstruating with misogyny, social ostracism, and shame. However, in the first half of the book at least, the women look forward to their days in the Red Tent. There seems to be no shame associated with this isolation, and they see it as an opportunity to rest from their lives of constant work. Later on, though, there’s a shift – we are told that the men are beginning to eye the Red Tent suspiciously, and it’s implied that the path is being opened for menstruation (and women in general) to be demonized. I really wish this process had been more central to the story, as it’s something that really interests me. I shied away from The Red Tent for years, and I’m not even sure why. Perhaps I assumed that I wouldn’t enjoy it because I’m not familiar with the Old Testament, but that didn’t turn out to be the case at all. While I didn’t love it, and to be honest lost some interest by the third section of the book, I did enjoy it quite a bit, and I’m glad to have read it. Seeing an old story retold from the perspective of those who were originally in the margins is something I’m always interested in. My sister in law was just telling me about this book this past weekend! I'd never heard of it before then. I was worried that it would come off as overly preachy/religious. I've seen a few reviews of this book but none of them sparked my interest like yours has. It's been a long time since I read any novels set in old testament times. Getting the story from the point of view of someone usually marginalized was also my favorite part of reading this book. I had trouble getting past my horror at the idea of having to stay inside anything the whole time I was menstruating. Also the book was highly recommended to me by someone who teaches at the same college I'm an adjunct for, so when I got around to actually reading it, I found that it couldn't live up to his recommendation. And now I think he's kind of creepy, because who teaches a book like that in a class that's supposed to be about relationships between men and women? Hmmm...I bought this book for my mom, but never actually had any interest in reading it myself. You may have just changed my mind though. I love the things you said about childbirth. I think we do so often forget that there are parts of the world where childbirth is still a very dangerous thing. And so many women still have no choice about bearing children...they're forced to have as many as their husbands say they'll have. This is one of those subjects that just never fails to make my heart ache. One of those things that I try so very hard not to take for granted, especially since I'm a recipient of the wonders of modern medicine in complicated pregnancies. But I'm not sure it's possible to ever be grateful enough for living in such privilege. I read this once, ages ago, and I've never felt compelled to reread it. I don't know - it was well-written, but like you I got bored after a while. This is terrible to say, but I like my historical fiction to be set in nice clean places. Even in a book like Fingersmith which I totally loved, I enjoyed the section at Maud's house so much more than the latter part of the book. Shiny historical settings. Much better than dusty historical settings. I loved this the first time I read it (a good few years ago), recommended it/bought it for people I knew, and, earlier this year, recommended it to a new book group; rereading it left me a little flat. I still love the retelling/telling of the story from the marginalised character and not making her a victim in this telling; I was reminded of The Penelopiad by Margaret Atwood. However, I wasn't left thinking that this was a wonderful celebration of womanhood and one of the best feminist novels. It did generate a great discussion amongst my book group as it has such great themes. I thought that the physical red tent subverted the ideas of ostracising menstruating women and moved away from the stigma and shame. I also found the midwifery parts extremely interesting and the conflict between Rachel and Leah, these unknown women of the Bible. I read and enjoyed this one a few years ago. But you say that LAVINIA is better? Your review of that book made me add it to my TBR list - now I REALLY want to read it! I really liked this book when I read it, but I didn't love it like the friend who lent it to me did. You've brought up a ton of interesting questions that I didn't even think about, particularly the shame associated with the red tent. Actually this review has made me even more curious about Lavinia, which I really must read! I read this one years ago and was a bit underwhelmed by it. I want to say it was an Oprah selection and of course everyone seemed to be reading it. When I got to it, I thought it was ok but that's it. I have a few other Anita Diamant books though and hopefully those I'll enjoy more. I read this book years ago, but I remember thinking 'eh'. I too liked the idea of the Red Tent as a feminist thing, but it wasn't developed enough. And I know I felt no desire to read any more of her books. I’ve heard of this book, but I don’t know if I would like to read it. Thanks for your honest review! I remember really loving it when I read it (quite some years ago). I'm not sure I'd ever seen the Bible represented with a feminist slant before and I was so in need of this book. From what I remember the part where Dinah marries is the least interesting, but the interactions of the women and the group of four wives fascinated me. I have a group of friends who all read this book, and started a Red Tent Club. One of the members actually made personalized "red tents" for each of us, and our purpose is to support each other through all of life's joys and sorrows. I will always love this book for being the inspiration for that group. I remember loving this when I read it a couple of years ago. I've seen this book around alot, but this is actually the first time I've stopped and read the review. Intriguing idea, but am going to trust you on your instinct to turn to Lavinia instead. I was just sitting here thinking that I wouldn't mind a Red Tent to go hide in at certain times. I'd look forward to it too! I wouldn't have minded more exploration in the shift of perceptions about the whole red tent process either, Nymeth. It was definitely something I picked up, not to mention it made me sad to see that change--that demonization-- begin to take seed. There are several biblical women who I'd love to see novelized well: Deborah is another one, and then Anna in the New Testament, but I'd REALLY love to see a book about Rahab, the prostitute, who helps the Israelites spy on and capture the city of Jericho. THERE'S an interesting character! I read this quite a few years ago and enjoyed it, although I really thought it could have been better. I thought the writing wasn't as lush as it could have been and I really wanted more about the women's time in the red tent... I remain somewhat disappointed in this book. I'm fascinated with Old Testament characters and would love to see more novelized! I saw this one recently and had wondered if it would be too religious to me. I am amazed at what the red tent stands for and the fact that they go off during their monthly cycle. It really makes women sound so second class and unworthy of being around during their menstruation. I wonder if I would get angry at parts of this book. Sorry you didn't fall in love with this book. I read it a long time ago and remember being really impressed with it, but it's been a long time, and I've grown as a reader. I am interested in Lavinia now that you mention that it is a somewhat superior book and am going to be putting it on my wish list. Thanks for your great review. I know nothing about either the Old or New Testament...actually, I don't believe in them, either. So I was surprised that I enjoyed it. That was a long time ago, though. I barely remember the book. Hmmm...I was put off because I feared it would be religious. A friend of mine made me read this book a few years ago. and I was glad I did. The women were so strong and there for one another in this book. Great story and not what I expected, at all. I find the idea of the red tent and menstruation very interesting, too, especially what you wrote about the suggestion that men were preparing to demonize it, and women in general. I don't really enjoy historical fiction, unfortunately, but this one does look very interesting. I've had this book for I don't remember how long and, like you, just haven't picked it up. Never in a million years would I have guessed what the red tent was. I like what you had to say about exploring that more. How is it that places that men aren't allowed become demonized? That question will probably never be answered entirely, but it's something to think about. Great review! I haven't read Lavinia, but I can see how the Red Tent might not be as good in comparison to an author that you love. This book is sitting in a basket in my room. I just saw it again yesterday. I really should pick it up and read it. What keeps me from doing so? I am thinking that it will be boring as some OT based stories are when placed in fiction books. This is on my shelf, waiting, like so many others... ;-) Pregnancy might be a good time to read it though! I think I'd put this in my wish list. I like books related to the Old Testament. I hope to re-read this soon, although it's hard to go back when there are so many books I haven't yet read waiting for me. Funnily enough, I've also kind of avoided this one and I don't know why! I'm glad you enjoyed it though. I LOVE that you compared it to Lavinia because I so badly want to read that book! I vaguely remember when this was at the top of all the bestseller lists but I didn't know that much about it at the time and what I did know didn't really appeal to me. Still not sure if I would enjoy this or not but I did like your review! I wasn't sure about this book for the exact same reason, but I actually really liked it in the end, too. Glad you enjoyed! I really loved this book, which I read when it first came out. It's not historical fiction, though; it's midrash, and that does make a difference in terms of themes explored and the reasons for writing the book. This is one of the first books I read when I started discussing books online. 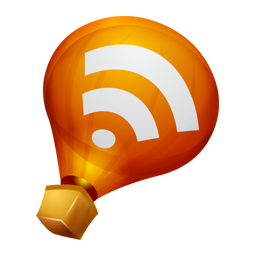 It was back before blogs were popular, so I was mostly involved in Yahoo online discussion groups at the time. The Red Tent was totally outside of my norm, but I absolutely loved it! In fact, I would count it among my all-time faves, and I want to revisit it soon (been saying that for years). Since you mentioned liking Lavinia even more, I will DEFINITELY check it out!!! This sounds really interesting. I think here are many different slants on he practice of segregating women during menstruation. Many Native Americans kept women separate during that time because they were believed to be powerful -- women's cycles were connected to the ability to bring life into the world. They had to be kept away because that mystical power would interfere with the medicine men's magic. It's odd. I gravitate towards this book on so many occasions when I am in a bookshop, and often pick it up, but I still have not read it. There is always something holding me back, even though the desire to read it is very much there. Never quite figured out why! I'm sure I will read it some day. So the guys had menstruation envy, is what you're saying? I'm not sure I would enjoy being stuck anywhere during that time of the month, personally. I just want to eat chocolate and be left alone.